SURAT THANI: An inquiry has confirmed public land encroachment by Samui airport, as the airport assures services will not be affected even if it has to return the land. 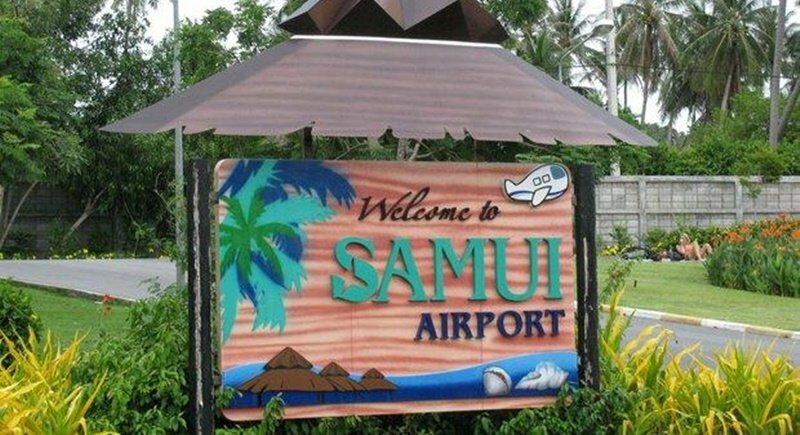 The National Anti-Corruption Commission has found there are grounds to allegations that part of the land used in the construction of Samui airport was issued illegally. Four Land Department officials involved also face disciplinary action and the Land Department has petitioned the Office of the Attorney-General to revoke the land document. The land covers 16 rai and is located at the end of the airport’s runway strip. Chatchai Phromlert, permanent secretary for the Interior Ministry, said the Treasury Department, the Land Department and other agencies involved are now preparing to discuss what action should be taken. Bangkok Airways, which owns and operates Samui airport, rents the land, registered as state property, from the Treasury Department. However, the Council of State ruled the land in question is public land which does not belong to the department. The land is part of the air safety zone in which the construction of structures, buildings or planting of trees is strictly controlled as required by aviation law. Following a National Legislative Assembly committee investigation, Surat Thani Governor Uaychai Innak has ordered a probe into claims of encroachment by the airport. According to the initial findings, the suspect land is a low-lying area with a canal running through it, which suggests that previously it may have been a water-retention pond and a canal, Mr Uaychai said earlier. The area is located at the end of the airport’s runway strip and is under the supervision of the department, Mr Uaychai said. The airport is required to have the land there for safety reasons. The panel is gathering information from residents, he said, adding the probe is expected to be wrapped up this week. Bangkok Airways executives could not be reached for comment yesterday (Nov 28) but its president Puttipong Prasarttong-Osoth has previously said the area has nothing to do with the runway, and the company had received no contact from the Treasury Department or the Land Department. Even if the airport surrenders the land, flights will carry on, as the land does not intrude onto the runway. But if the land is found to belong to other agencies, the company is ready to comply with the state proceedings, he said. Bangkok Airways said the company started renting the land plot from the Treasury Department in 1999.